It’s just one cut at the data. I find visual representations of data more interesting than a linear read of them. 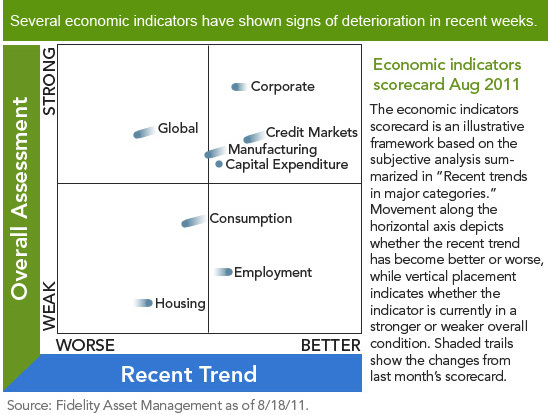 It facilitates removing emotions that result from reading about economic indicators to see them visually. This is a small snapshot of what’s going on, and who knows what September holds for the markets, but I suspect it will be volatile as well, since September has a tendency to be volatile. This doesn’t mean anything in the long term if a portfolio has been constructed aligned to a client’s goals. But, it can wreak havoc on short term emotions.